The apprentice is about to face the sorcerer. CSKA’s head coach, Igor Nikitin, got his first call-up to Russia’s training staff under Zinetula Bilyaletdinov back in 2011-12. On Saturday, he faces off against his old mentor in the 2018 Gagarin Cup Final. Already this season, he’s aided and eliminated another great coach – Oleg Znarok, colleague for Team Russia, rival in the KHL. Can he outstrip one more mentor? Nikitin, 45, has not always been in the limelight. He may have Olympic gold and two World Championship victories on his resume, but a life spent largely as an assistant coach has left the Kazakh-born defenseman out of the headlines. Indeed, Wikipedia does not yet have an English entry for him – something that is surely set to change in the coming weeks, regardless of the outcome of this year’s Gagarin Cup Final. As a player, Nikitin emerged from the Torpedo club in Ust-Kamenogorsk, making his debut in the Soviet championship in 1990. His greatest successes came with Avangard, where he won Russian and European titles and earned a call-up to Kazakhstan’s 1998 Olympic roster. His style, very much a stay-at-home blue liner, prompts an assumption that his teams will play the same way. CSKA’s results this season, allowing just 89 goals in regular season and completing the first round of the playoffs with just one goal on Ilya Sorokin, reinforces that assumption. The joking suggestion is that Nikitin’s D-men are barred from crossing the red line. 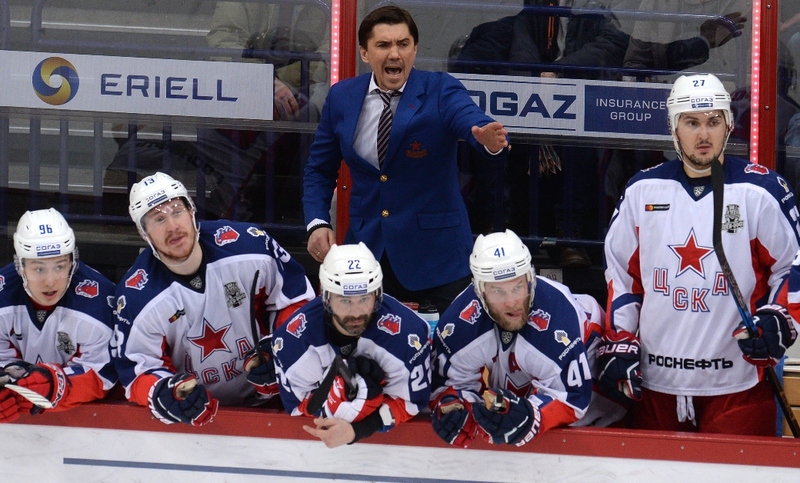 Nikitin took over from Dmitry Kvartalnov behind the CSKA bench, having worked with him in Moscow and earlier in Novosibirsk. He’s also gained a wealth of international experience. The only thing lacking from Nikitin’s coaching career prior to this season was extensive knowledge of life as a head coach. 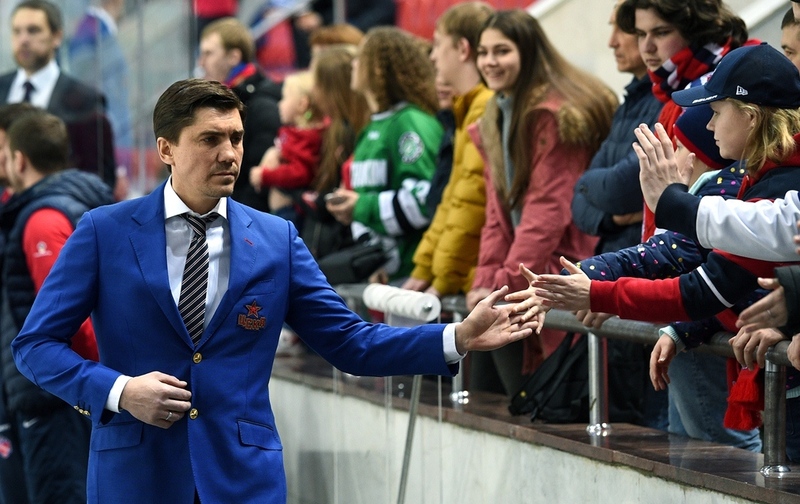 A couple of short spells behind the bench at Avangard included one sensation when his 16th-seeded team dumped regular-season champion Salavat Yulaev out of the 2009 playoffs, but his contribution in Omsk got rather lost amid the storms whipped up by the volatile Raimo Summanen. 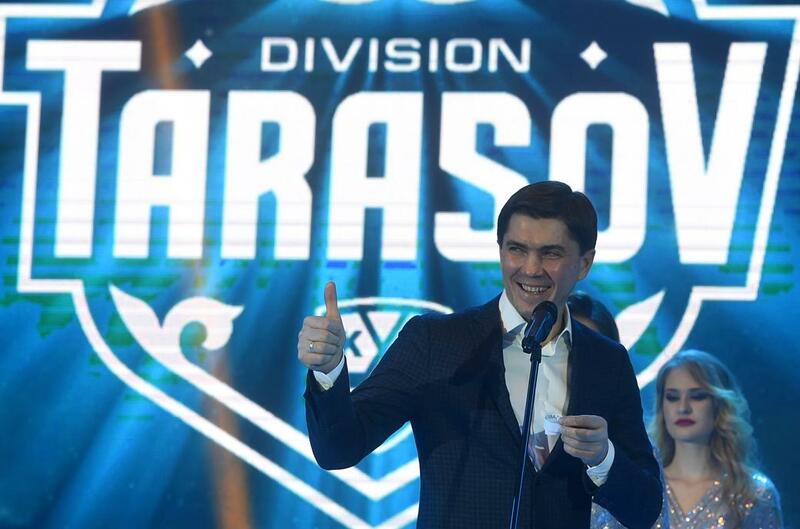 In Novosibirsk, he pushed Sibir up a level – but the club’s success remained more closely associated with the wiles of GM Kirill Fastovsky. Then in Moscow he was at Kvartalnov’s side through three regular season titles and a Gagarin Cup defeat in 2016 before being handed the task of ending the Army Men’s long, long wait for the big prize. To achieve that aim, Nikitin’s team rebuilt after Kvartalnov’s departure. A new emphasis on recruiting Russian players looking to return home from North America brought the likes of Alexei Marchenko, Mikhail Grigorenko and Nikita Nesterov. Players with potential, but with questions to answer after their stint across the Atlantic. Under Nikitin’s guidance, they gained in confidence and competence. Olympic medals secured, they’re now chasing domestic glory. Then there are two other young Russians, both tipped as future NHL stars. Goalie Ilya Sorokin and forward Kirill Kaprizov. The forward, whose reputation for scoring clutch goals has been reinforced by his golden Olympic marker and, more recently, the vital game-winner in game five in St. Petersburg, had an odd time of it. Arriving from Salavat Yulaev as a star turn, he found himself rotated in and out of Nikitin’s line-up at CSKA. An unexpected strategy, but a successful one so far, with 40 points in 46 regular season outings and 10 from 15 in the playoffs. Sorokin, meanwhile, has been impressive all season – but not to the extent that Lars Johansson has been forgotten. Nikitin’s relationship with his goalies ensured that when the Swede was needed, he was primed and ready to perform. Four appearances in the series against SKA saw Johansson stop all 74 of the shots he faced; CSKA won through thanks to his heroics in the final two games of the conference final. Suddenly, CSKA is the hot favorite to land its first Gagarin Cup. In the regular season, the two Army clubs of the West were head and shoulders above all comers; Ak Bars, as always, was powerful in the East but its record hardly matches up to the dominance of SKA and CSKA. However, we’ve been here before. Few gave Metallurg a chance in 2016, especially after CSKA won 5-1 in the opening game of the final. A year earlier, SKA’s hopes seemed to be over when it trailed 0-3 in the Western Conference Final, only for CSKA to let slip a huge lead. We know Nikitin’s team has the talent to win. We know Nikitin’s coaching can get the best out of it. Now, we’ll find out if he and his players have the composure to secure the biggest prize.